At my first claim running club we have just started our first ever Grand Prix. Our system gives us two ways of scoring points. 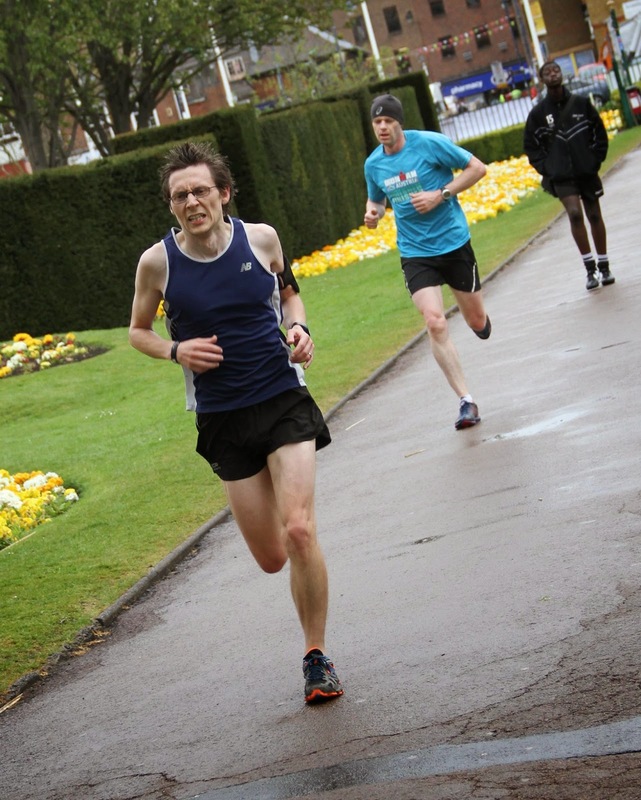 The first is by participating at one of the nominated races and the second is by running at parkrun with each runner's best parkrun age grade of each month also being converted in points - this is called the 'parkrun bonus'. Points are awarded based on the runner's age grade score with the percentage converted into points by rounding up to the next integer. 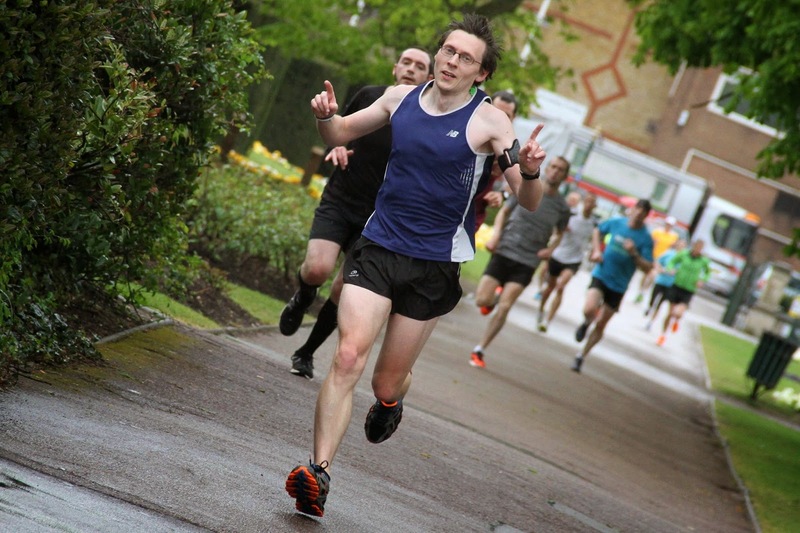 Our race for April was the Darent Valley 10k which hosted by Swanley & District AC. It's a tough course and I'm not fully fit but I came away with a GP score of 67 points (66.04% rounded up). 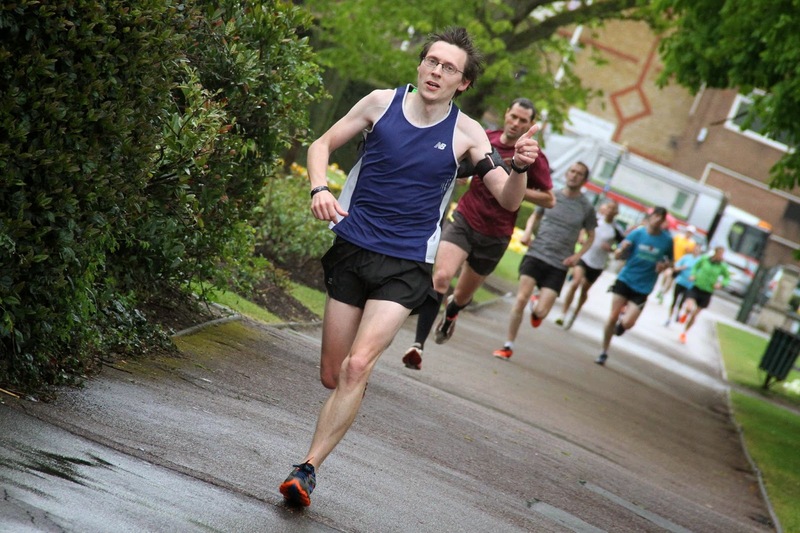 Earlier in the month of April I had put in a 20:01 parkrun time which gave me an age grade of 67.19% and a potential parkrun bonus of 68 points. 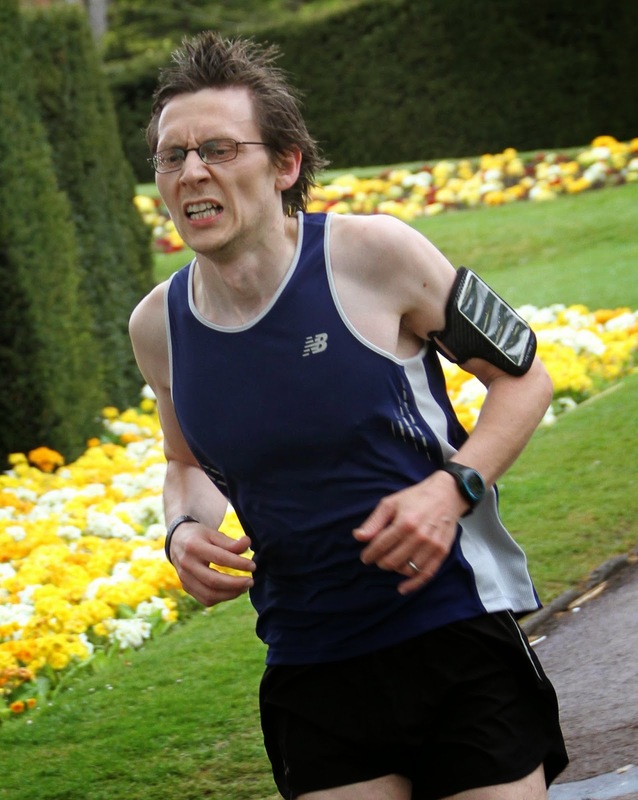 With this weekend being the last in April it was a chance to try to squeeze another point out of Dartford parkrun. So, the day before parkrun I did a little maths and worked out that in order to move up into the next percentage number I would have to run 19:46, which would give me an age grading of 68.04% and would be rounded up to 69 points. The problem was that I busted a gut just reaching 20:01 and I was sceptical as to whether I could actually knock another 15 seconds off. Anyway, it was worth a try. So on the day I set off at an aggressive opening pace in the knowledge that within a few short minutes the run would become very uncomfortable and maybe a little painful. According to my stopwatch I hit 1km in 3.50 which was a tiny bit faster than the required pace, then after running through the gardens I headed around the bandstand and reached 2km with the stopwatch displaying 7.40 (another 3.50 kilometre). I was happy with those but knew that it was a tad faster than my actual 5km fitness level. By the time I had crossed the bridge for a second time and reached 3km things were getting very tough. The stopwatch time of 12:42 (4.02) at 3km confirmed that my pace had started to slow. All I could do from here was try to hang on. I somehow ran a cracking 4th kilometre (this one includes the second trip around the grass and incline section) and reached the 4 kilometre point with the stopwatch at 15.38. That left 4 minutes and 8 seconds to reach the 5km point. After the run it took me a good five minutes to get on top of my breathing and to start feel fairly normal again. Incidentally my GPS readings tell an ever-so-slightly different story as far as kilometre splits are concerned but it's pretty close. So after standing around and chatting for a little bit, I linked up with Adam - who himself had put in a stonking effort and finished just a few seconds behind me - and we went to collect any remaining signage from around the course. There were a few problems with the parkrun laptop after the run so the processing was a little delayed and we ended up stuck in the processing queue. So it wasn't until a few hours later that my confirmed official result came through and much to my delight, it was bang on 19:46. This gave me that 68.04% age grade score and an extra point in the Grand Prix. There were a whole load of other really good performances from my team mates so we were all pretty chuffed with ourselves. All over and done with for another week and I started to feel a little sad, fortunately I had put my name down for a spot of junior parkrun volunteering the next day so that's two parkrun days in one weekend, which is just about the right amount if you ask me.